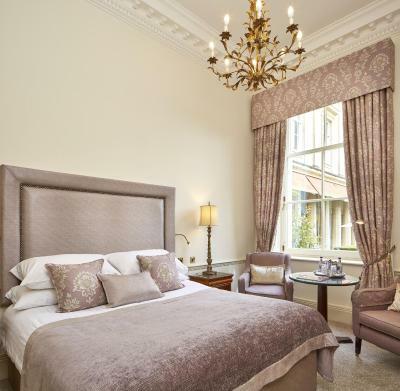 Lock in a great price for Macdonald Bath Spa Hotel – rated 8 by recent guests! The staff was very attentive and professional. They were aware of every detail without being intrusive. The grounds and the hotel were beautiful and my room was very spacious. I will definitely stay here again when I come to Bath. Great location and the spa facilities were good. Staff were friendly and efficient. Very bad staffing , no one responded telephone calls. At many occasions no one was at the reception. Made to feel welcome! Lovely free upgrade! Lovely spa and great breakfasts! Staff friendly and even offered shortbread biscuits with coffee. This 'five-star' hotel was exceptional for the price. The staff went out of their way to assist us with a smooth check-in, including offering us a street map of Bath if we needed it and offering us a speedy check out service upon leaving, which we used. The breakfast was perfectly cooked and a little 'extra', with fresh bread and brioche buns. 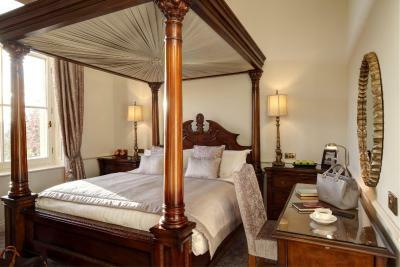 The room was beautifully presented with the added extras of robes and slippers and ample about of wardrobe space. It had a magnificent bathroom with a huge bath, shower and added extras, including double mirrors and a pull-out makeup mirror. (we weren't sure about the bidet but it was an interesting touch!) The spa was a bonus which we managed to squeeze in before our check-out time, making use of the jacuzzi and the outdoor heated pool (which in November was like stepping into a warm bath!) We thoroughly enjoyed our stay and only wish we had a little bit longer there as it was a one-night stopover. Nice hotel but expensive for what it was. The room was ok. The spa was lovely though. This property is massively understaffed- nobody answered any phone calls so if anything was needed I had to go wait in a queue at reception. Further, the spa was not relaxing at all- very crowded and full of children. The positives were the location, the property itself is beautiful, and the people working there were nice (there just weren't enough of them). Overall not a great rating from me. Great gym equipment & pool Very polite and professional staff in all areas of the hotel. 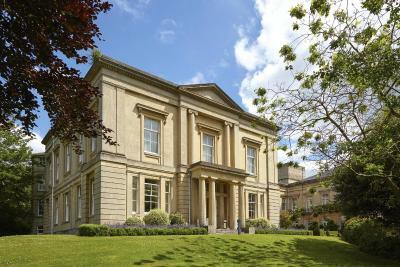 Beautiful building and nice decor and very peaceful Great location within easy walking distance to the centre of Bath, with a very efficient taxi service if required. 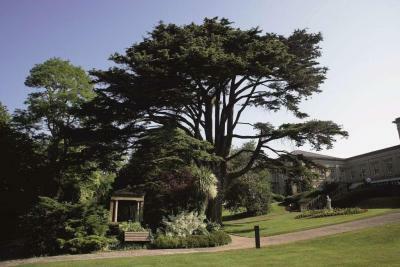 Beautiful hotel and grounds in a handy location. Our room and a huge bathroom and gorgeous high ceiling. We had some lovely treatments in the spa which we really enjoyed (therapists were great) but unfortunately we were overcharged for this and had to sort out on check out which was annoying. 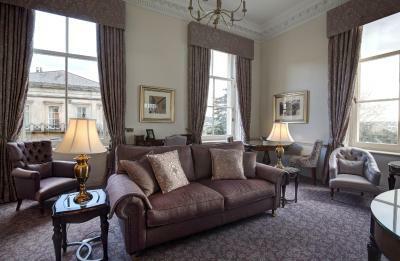 Macdonald Bath Spa Hotel This rating is a reflection of how the property compares to the industry standard when it comes to price, facilities and services available. It's based on a self-evaluation by the property. Use this rating to help choose your stay! 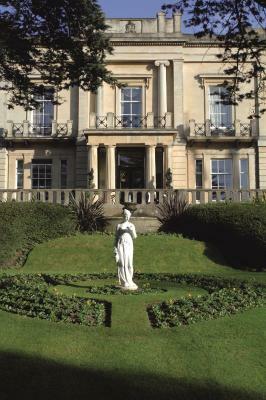 One of our top picks in Bath.Surrounded by beautiful gardens, Macdonald Bath Spa Hotel features a luxury spa and award-winning restaurant. The hotel is a 10 minute walk from Bath Abbey. 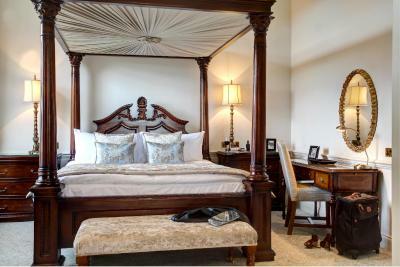 The elegant bedrooms have private bathrooms with free toiletries and fluffy bathrobes. 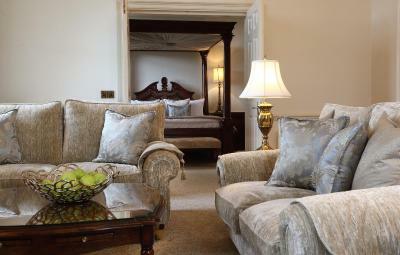 With luxury marble and mahogany decor, rooms have satellite TV and tea/coffee facilities. Many have scenic garden views. 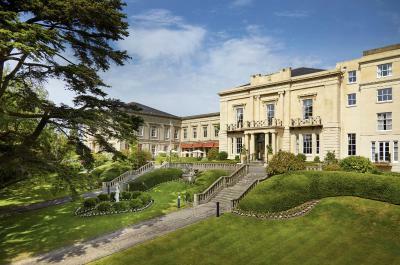 With fountains, ponds and a terrace, Bath Spa Macdonald Hotel also has a sumptuous spa, featuring a swimming pool, outdoor hot tub, candlelit treatment rooms and fitness center. The Vellore Restaurant is in the former ballroom of the grand property, and serves an innovative British menu and world wine list. The Alfresco Restaurant and Terrace offers fruity cocktails and wonderful views. 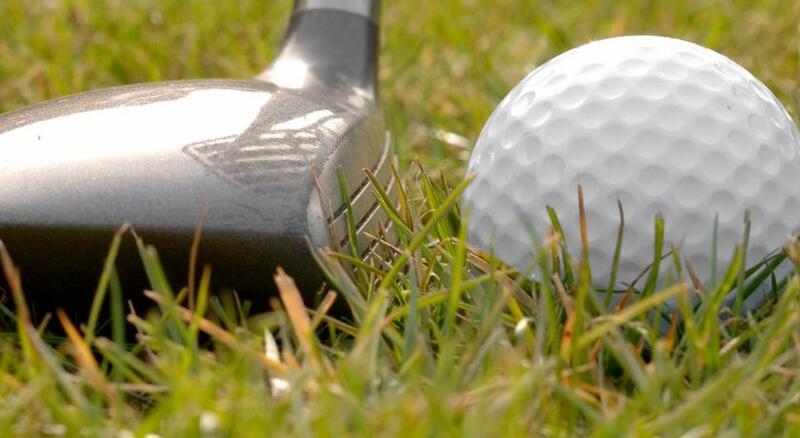 Just a 10 minute walk from Bath city center, Macdonald Hotel Bath Spa is surrounded by the beautiful Somerset countryside. 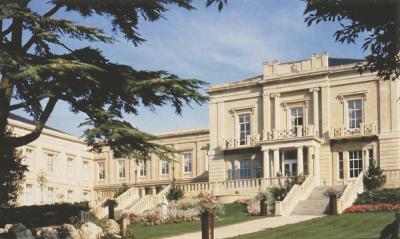 Bath’s Roman Thermae Spa is a 15 minute walk away. 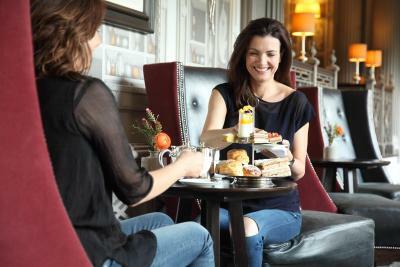 When would you like to stay at Macdonald Bath Spa Hotel? Elegantly furnished Classic Room which includes a comfortable bed, a private marble bathroom, flat-screen satellite TV, and a large desk. Elegantly furnished Classic Room which includes comfortable beds, a private marble bathroom, flat-screen satellite TV, and a large desk. 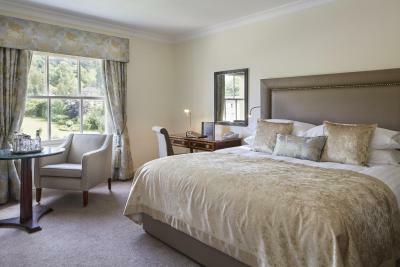 This spacious room features upgraded furnishings with views over the private gardens. 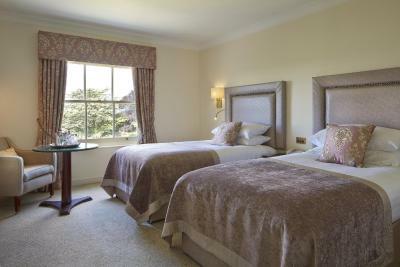 Extras include a generous work area, bathrobes and slippers and Molton Brown toiletries. 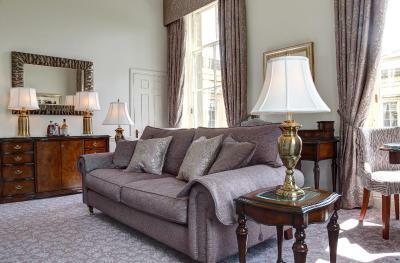 Located in a separate wing of the hotel and accessed via courtyard gardens, Imperial Suites are individually styled with unique features such as grand fireplaces, deluxe beds and a separate sitting room. Please note children aged under 16 years cannot be accommodated in this suite. This double room has air conditioning, bathrobe and flat-screen TV. Additional amenities include a Nespresso coffee machine and a seating area. This double room features a bathrobe and air conditioning. Additional amenities include a Nespresso coffee machine and a seating area. This double room has air conditioning, mini-bar and bathrobe. Additional amenities include a Nespresso coffee machine and a seating area. This twin room has a satellite TV, bathrobe and air conditioning. Additional amenities include a Nespresso coffee machine and a seating area. 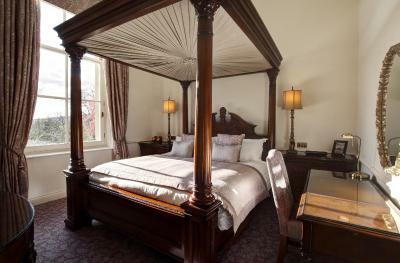 This suite offers a separate room with a four-poster bed and a TV. It also contains a separate lounge area with a TV and views of Bath. The private bathrooms include a roll-top cast iron bath, a separate shower, a TV, bathrobes, slippers and Elemis toiletries. Additional amenities include a Nespresso coffee machine, a safe and an iPod docking station. 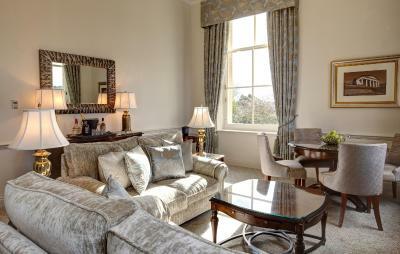 This suite features a separate bedroom with a four-poster bed, a TV and views of Bath. There is a separate lounge area with a TV, fireplace and a dining area. The private bathrooms contain a roll-top cast iron bath, a separate shower and a TV. 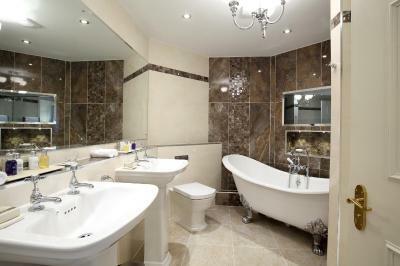 Guests will also find Elemis toiletries, bathrobes and slippers. 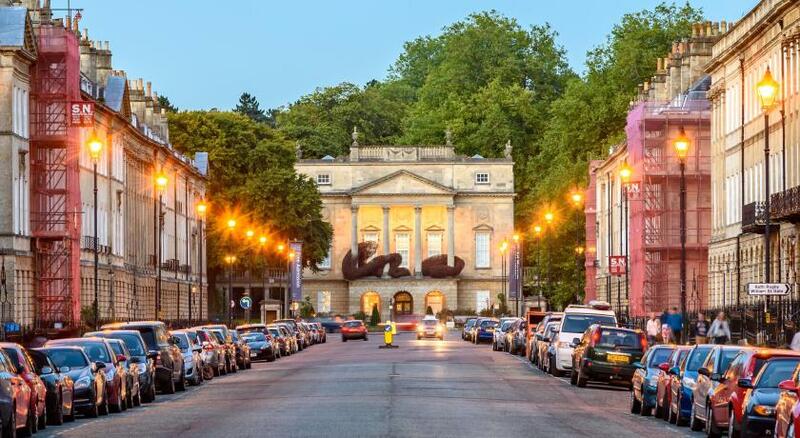 The luxurious Five-Star Macdonald Bath Spa Hotel is nestled amongst seven acres of stunningly landscaped gardens and yet only a short stroll away from the world heritage City of Bath. Grandeur and style awaits you – whatever the occasion. 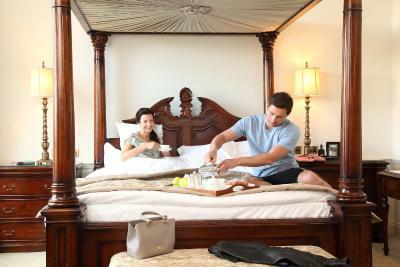 House Rules Macdonald Bath Spa Hotel takes special requests – add in the next step! Macdonald Bath Spa Hotel accepts these cards and reserves the right to temporarily hold an amount prior to arrival. 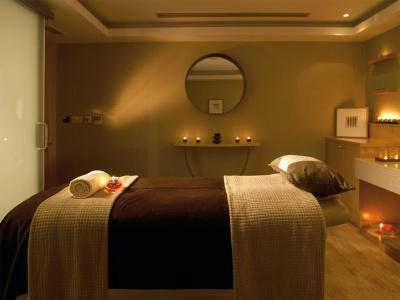 Spa treatments must be booked in advance. Children up to 16 years old can use the swimming pool between 8:00 to 11:00 and 15:00 to 18:00 within the designated children's lanes and must be accompanied by an adult. Children do not have access to the Thermal Suite and Hydro Pool. - Hotel Residents: access to the leisure facilities are allowed from 12:00 on the day of arrival until 11:00 on the day of departure. An exception to this is if you have a spa treatment booked before 12:00 on day of arrival or 11:00 on day of departure. 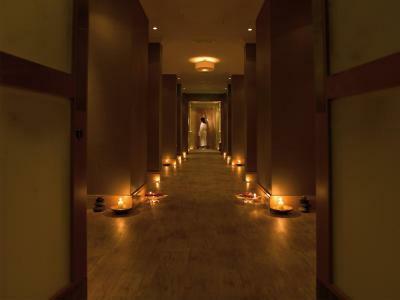 - Day spa guests: access to the leisure facilities are allowed up to a maximum of 90 minutes both before and after spa treatments. Spa felt unclean. The steam room didn't smell very nice. Neither did the pool. Spa needs some updating and maintenance, especially outside. Would rather not pay for parking as my room rate was already expensive, would prefer this to be included. Room comfortable and quiet. Location brilliant for town. Easy parking. Breakfast was great. Staff really helpful and friendly. Wasn’t good value for money, expected more from the stay and room wasn’t anything special. Being hit with a £15 parking charge which is not clear at any point ! I have an invoice from booking.com stating nothing else to pay! Staff was lovely I let them know it was my girlfriend birthday and they upgraded us for absolutely free. One off the staff members was very inappropriate and not very professional and made me feel very awkward luckily I was only staying for one night . Was very clean , they upgraded us to suit when we arrived and was in a good location . A very nice hotel, well-appointed with very helpful attentive staff, this hotel/Spa sits in lovely grounds and is about a 20 minute walk to the centre of Bath. The restaurant is very elegant, the food is freshly cooked to a very high standard. And the mark of a good restaurant is a breakfast cooked to order and served on a hot plate. So many lesser hotels provide a barely warm buffet breakfast on cold plates, but not this hotel. Location and spa. Lovely chocolates on arrival for our 2nd wedding anniversary. I really don't think it is appropriate to charge for parking here! Spoilt things for me a little. Clearly plenty of parking space an out of town location. Loved the decor and furnishings at the hotel. The food was amazing! Lovely selection at breakfast and staff very attentive. We had a lovely evening meal in the restaurant with fabulous surroundings. We also loved the spa and particularly the outdoor heated pool area. The personal touches as we were there celebrating our 5th wedding anniversary. The food was very good and tasty and the staff were very pleasant. The hotel itself was beautiful and in wonderful well kept grounds. The walk into town wasn't too bad but if you are unsteady on your feet you may find it a little too far out to walk every day.